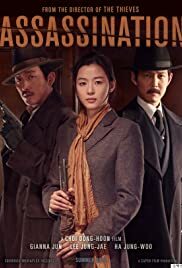 Set during the 1930s (during the Japanese occupation of Korea) and it concerns two assassinations that our protagonists plot against pro-Japanese targets. The hit team consists of a sniper, a jailed military school graduate, and an explosives expert. The first thing to understand about this movie is that it has an outstanding cast, which yields great performances across the board. Ji-hyun Jun is the lead actress; her popularity exploded when she starred in My Sassy Girl (2001), but she's also been on a scorching hot streak lately with films like The Thieves (2012) and The Berlin File (2013), as well as a hugely popular K-drama television series named You Who Came from the Stars (which finished in 2014). I love this actress. I'll watch her in anything. She starred in the sexiest tea commercials of all time, by the way. Assassination also stars Jung-jae Lee (Big Match, The Face Reader, New World) and Jung-woo Ha (Kundo: Age of the Rampant, The Terror Live, The Berlin File, The Chaser, The Yellow Sea, etc.). There are also some very recognizable faces in supporting roles as well. The cast is just loaded! And it's great watching everyone interact. 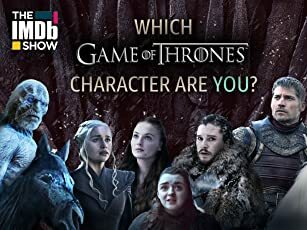 The plot is quite complicated, but it is interesting and does a good job of creating a web of conflicts between the characters which comes to a boil later on. It may be a little too convoluted for its own good, which seems to be a trend with some recent Korean thrillers like The Berlin File and The Suspect, but it does force the viewer to pay close attention and watch the movie multiple times to get all of the little details. There are also a few wicked twists and unexpected moments. Production values are top notch: the period set designs that are showcased are excellent. You really feel like you're back in the 1930s. Action ramps up near the midpoint and is nicely staged in a realistic manner. It's always cool seeing 1930s technology utilized during shootouts and chases. The entire second half is exciting.